First Floor 1226 sq. ft.
Second Floor 1392 sq. ft.
Width 50 ft. 0 in. Approx. Height 31 ft. 0 in. It’s the quintessential American home plan: covered front porch, dormer window, lap siding and shuttered windows and tiered gables. 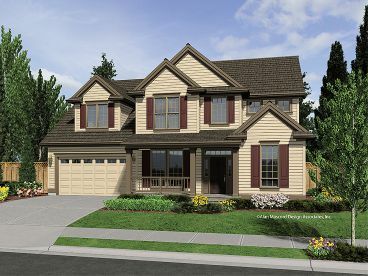 Inside the dream continues with four bedrooms and plenty of living space for the whole family. Consider the massive great room with fireplace and optional media center. 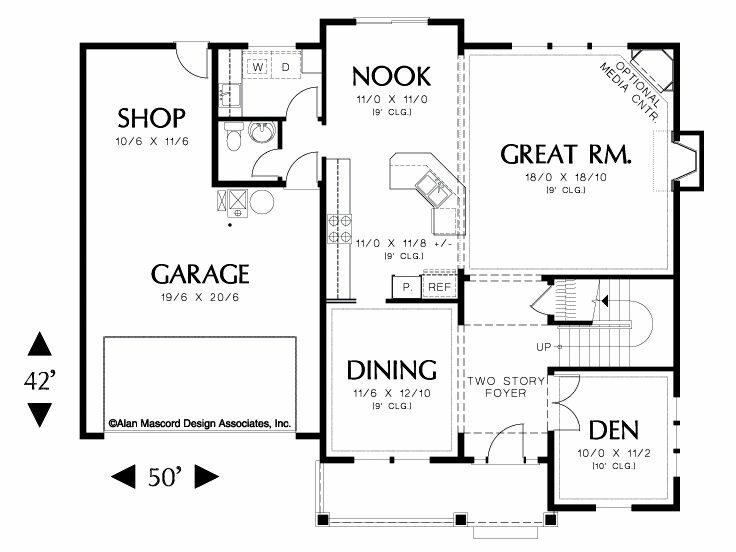 It connects to the breakfast nook (which has sliding glass doors to the rear yard) and is open to the kitchen. A formal dining area is also easily accessible to the kitchen, making it easy to entertain guests. The peaceful den, with 10’ ceiling and double doors, lies to the right of the two-story foyer, perfect for a home office. 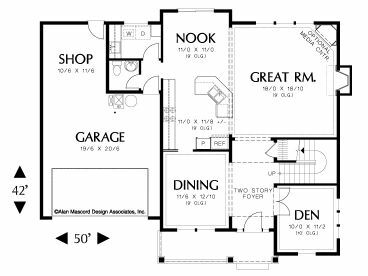 At the back of the main level are a half-bath and a laundry area—conveniently placed near an access to the two-car garage with shop area adding functionality. 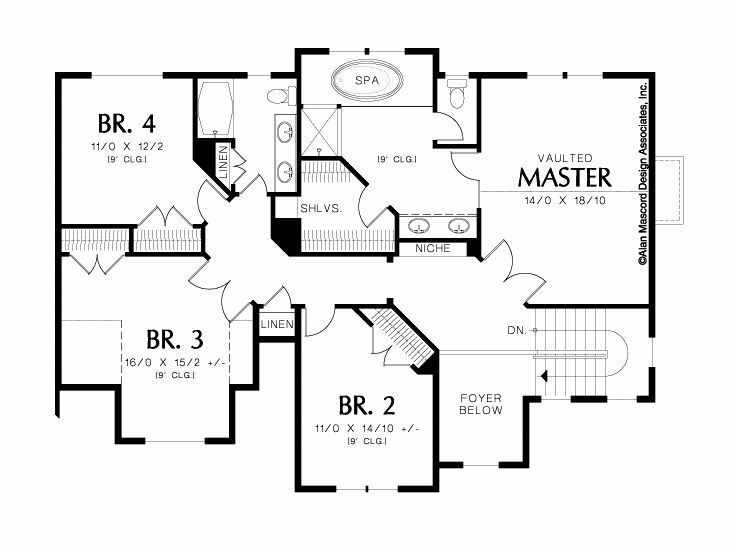 Four comfortable bedrooms indulge in peace and quiet on the upper level. 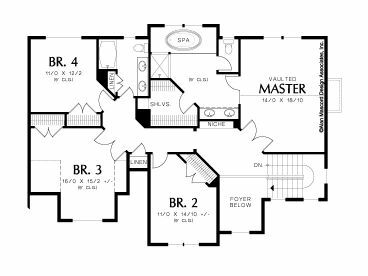 Your vaulted master suite is designed to pamper with a spa tub, a walk-in closet with built-in shelves, a separate shower and double sinks. The children’s rooms provide ample closet space and share a hall bath equipped with double bowl vanity. Perfect for a large or growing family, this traditional two-story house plan will shine in any neighborhood.